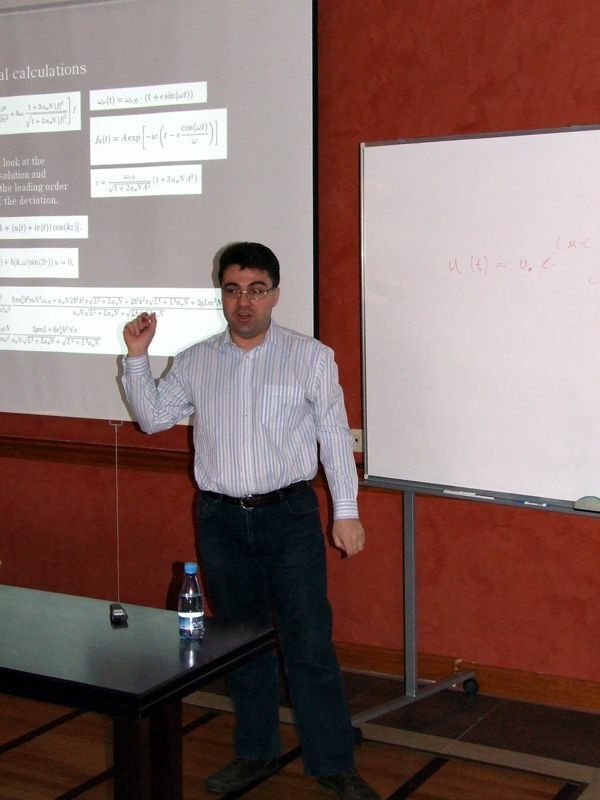 Alexandru Nicolin from the National Institute for Physics and Nuclear Engineering - NIPNE, Bucharest, Romania, gave a seminar talk on "Faraday waves in Bose-Einstein condensates". 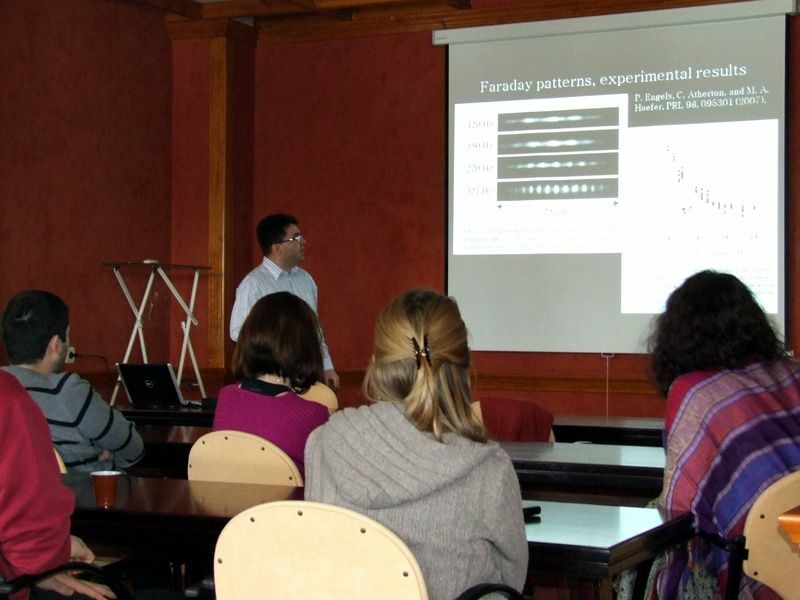 The presentation will survey the emergence of Faraday waves in Bose-Einstein condensates focusing on the experimental results of Engels et al. (Phys. Rev. Lett. 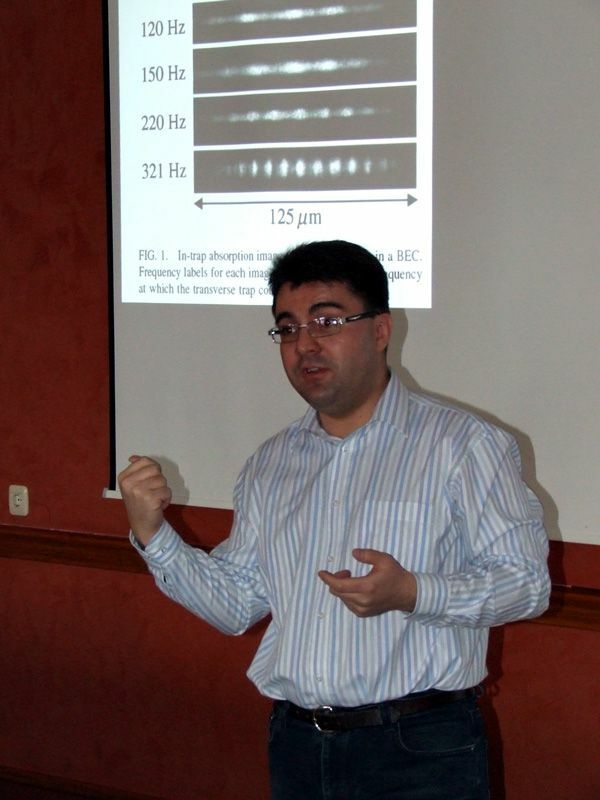 98, 095301) and the theoretical work of Nicolin et al. (Phys. Rev. A 76, 063609 and Physica A 389, 4663). Engels et al. have showed experimentally that an elongated high-density cigar-shaped condensate subject to periodic modulation of its transverse confinement excites small amplitude longitudinal oscillations through a parametric resonance, i.e., Faraday waves. 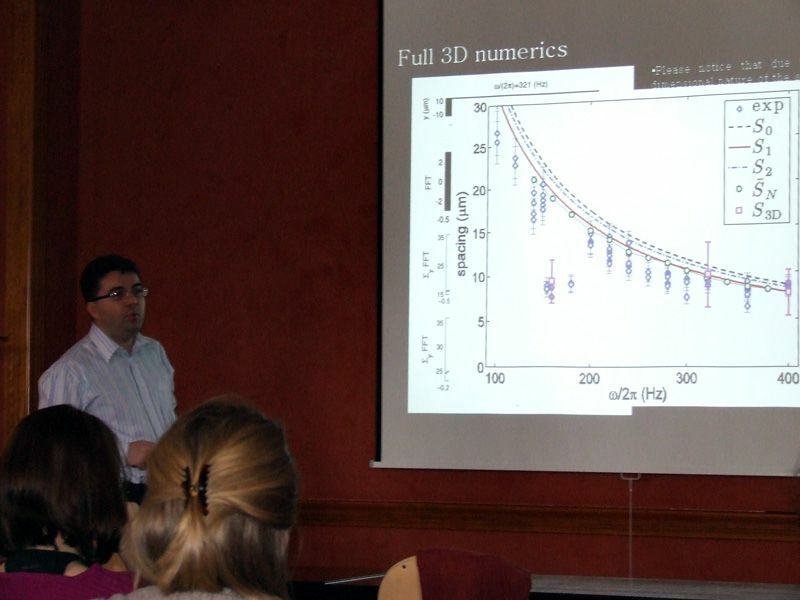 In my talk I will give a complete analysis of the instability using an effectively one-dimensional model that captures the main features of the experimental results and will provide extensive three-dimensional numerical results.